The heft of a chef's knife is intended to let gravity do most of the work. 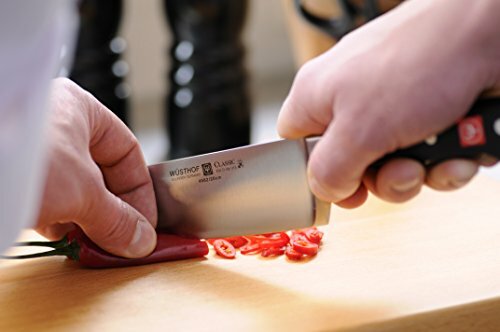 And because a firm, comfortable grip is essential, choose several knives from a wide variety of sizes that conform to your hand. 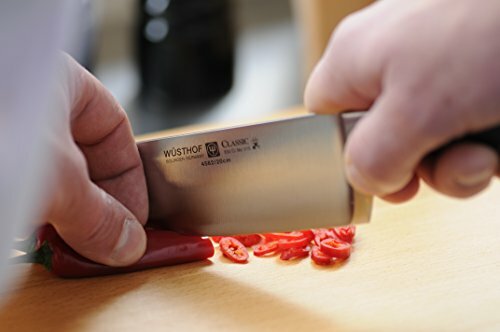 • Precision-forged blades of Wusthof's own high-carbon, stain-resistant steel alloy, for a lasting edge that is easy to resharpen. 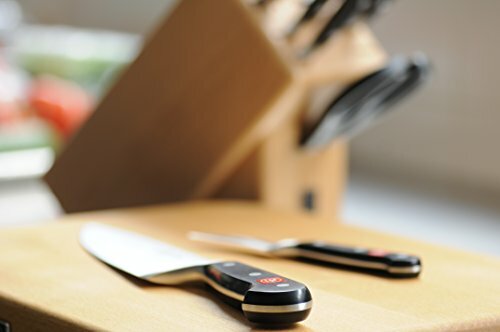 • Distinctive bolster prevents your hand from slipping onto the blade. • Handle is a virtually indestructible composite, buffed by hand for a smooth finish and triple-riveted to the full tang for optimum strength and balance. • Dishwasher safe, but hand-washing is recommended. 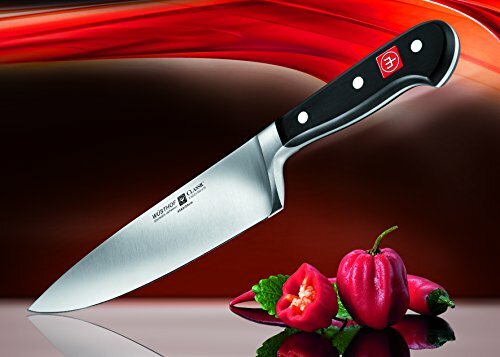 • Made in Solingen, Germany.